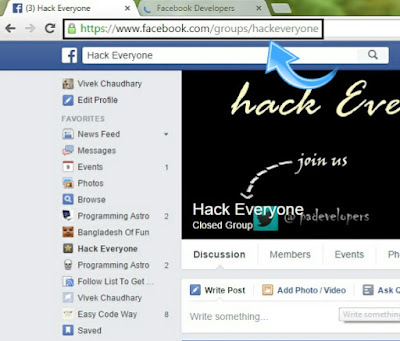 Facebook consist of profile, groups and pages. Out of which groups are the only way to easily target bulk audience. For personal brand page, you should have at least 50k+ likes in order to target much following. But it's not an easy task, either you have to promote it or work hard to share it. On the other hand profile has friend limit of 5000, which is very less. So never opt profile to promote business. It will be waste of time. However groups can be goldmine for us, if we use them in correct way. 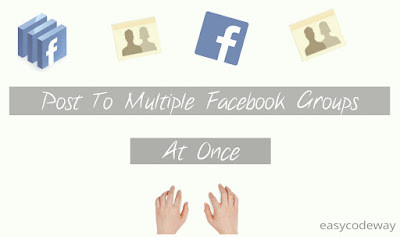 In today's tutorial, I will teach you how to post on multiple Facebook groups at once. Grab a cup of tea before we start as it would take some time to setup the system. There are thousands and millions of group on Facebook. I am not saying to join all. Before joining any, Keep only two things in mind. First think about what you want to post on groups. For example: If you select Tech News, then search for all groups named with "Tech" & "News" or Related. Secondly, Join only those having more than 20k+ active members. Active members are those which regularly post to group, like, share and comment. It would be better for you to choose groups having maximum number of active members. I have seen many groups having 50k+ members with 0 active user. If you find such groups after joining, simply leave them. One more thing, those groups which need post approval by admin also have no use for you so leave them too. It depends on which groups you select or if you don't take it serious, you are wasting your time. Join around 30-40 groups. It would take up-to 1 week to setup best the pair of groups. Have patience and once it over, you have almost done your 80% work. Where group ID will vary for each group. 2. 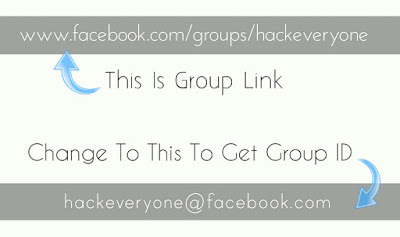 Now copy group ID ( It may be in numbers or text ) and paste in notepad. 4. Do this for all groups and save them in notepad separated with comma (",") as in below picture. You had prepared all hard work. Now the only thing you need to do is to send message to all groups via G-mail. Whenever you send mail to groups, they will be automatically posted. 1. Keep login your Facebook account and sign in for G-mail with the same account you have Facebook ID. 2. In the "To" section, add all Groups ID ( should be separated with comma's). 3. Leave CC and BCC Section empty. Write message you want to post. You can also use smiley and links. 4. At last, hit send button. Yippee! You had done. Check out your profile activity log. After posting you will get hundreds of notification. Many people post frequently. This is where they did mistake. Don't be one of them. Facebook is watching your all activities, so play safe and post only 1 times a day. If you try to post more, you will be banned from future posting. Share links only when necessary otherwise your link will be treated as spam. Wrapping up all, we can say that this trick will help you to post text, link ( without preview ) and smiley only. Instead of using this, there are many alternatives. One of them are online tools like post cron, Hootsuite and post planner (This feature had been removed from this website) which have power to schedule posts, share photos, share links (with image preview) etc., But they may require payment options. So it's better to use this official way onlu. 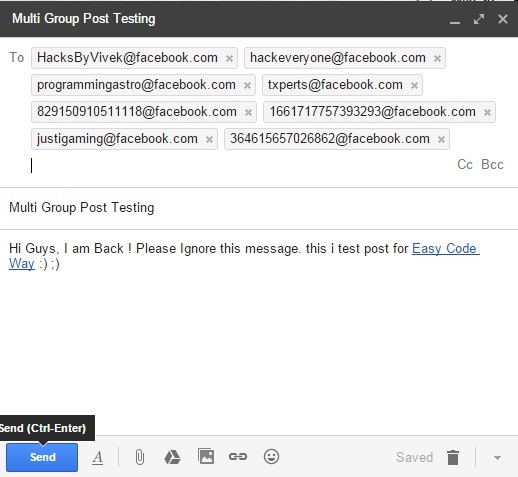 You can learn how to post on multi Facebook groups using post cron on their official blog. Now I have cleared all concepts on this topic. Still having problem or have some suggestions ? Let me know in below comment box.